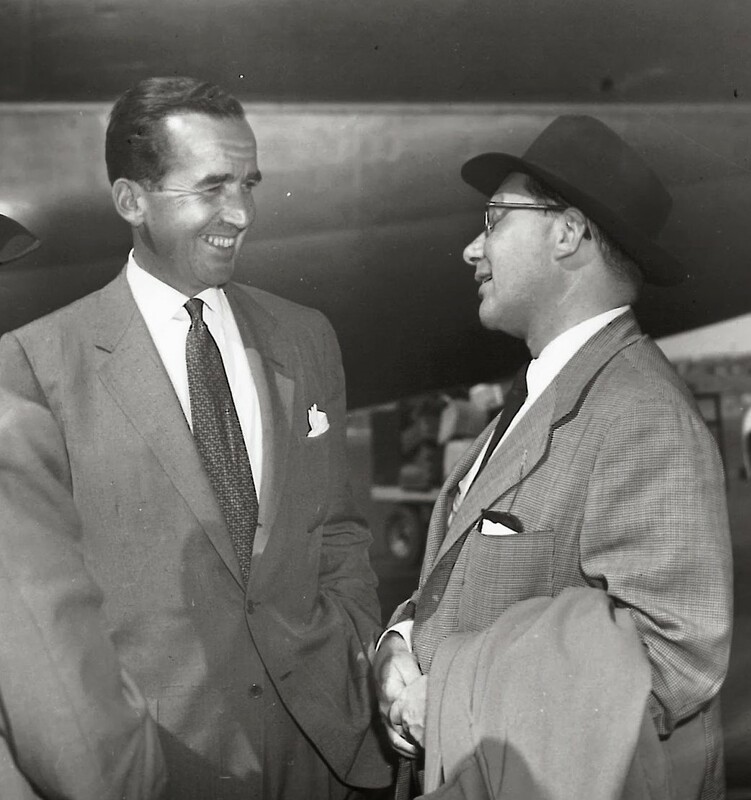 The Murrow Boys were household names by the end World War II in Europe. Edward R. Murrow in particular commanded an enormous amount of respect among American listeners, and he took that reputation very seriously. Despite this, he and his staff went on to face ever-emerging challenges as journalists in the postwar years. Soon after the debut of Murrow's television news series See It Now in 1951, Bill Downs urged Murrow to use his new platform to take on Senator Joseph McCarthy. At that time the Second Red Scare was still going strong, and a direct challenge to McCarthy or the anticommunist crusaders in Washington meant risking one's career and being branded a Soviet sympathizer. The CBS news staff agreed that McCarthy was a threat to American institutions. Murrow himself believed that the senator's demagoguery had taken the form of a "Nazi-like mass movement." But he was reluctant to launch any direct attack on McCarthyism, lest he abuse his role as a journalist. He was also concerned that doing so could harm others, including those close to him. Downs, however, believed that Murrow should speak out. Others, such as the show's producer Fred Friendly, maintained that it would be better to wait for the right time. The CBS news team was especially concerned about reprisal in an industry plagued by witch-hunts and blacklisting. In 1950, CBS reporters Howard K. Smith and Alexander Kendrick—both of them Murrow Boys—were among the 151 news and entertainment figures named in the infamous Red Channels list of alleged "Red Fascists and their sympathizers" in the broadcast industry. Later that year, CBS management required its employees to sign a loyalty oath affirming that they were not and never had been communists. Downs protested at first, but Murrow—at that point careful to pick his battles—told him: "If you don't want to sign the oath, there is no way I can protect you." Downs, for his part, did not keep silent. Cartoonist Walt Kelly wrote in 1959: "Those of us who had reason to question the loyalty oath could not help but be cheered by a reverse side of the coin. Bill Downs made a blistering radio attack over CBS on the cloak-and-dagger activities on Capitol Hill. 'Things were just going too far,' he said to me. 'I couldn't take it anymore.'" While Murrow was not the first to challenge McCarthy (Eric Sevareid noted Elmer Davis and Martin Agronsky as two who already had), he remains one of the most memorable. He covered the case of Milo Radulovich in October 1953 before finally addressing McCarthy directly. On one thing the senator has been consistent. Often operating as a one-man committee, he has traveled far; interviewed many; terrorized some; accused civilian and military leaders of the past administration of a great conspiracy to turn over the country to communism; investigated and substantially demoralized the present State Department; made varying charges of espionage at Fort Monmouth. The army says it has been unable to find anything relating to espionage there. He has interrogated a varied assortment of what he calls "Fifth Amendment Communists." Now, ordinarily I would not take time out from the important work at hand to answer Murrow. However, in this case I feel justified in doing so because Murrow is a symbol, the leader, and the cleverest of the jackal pack which is always found at the throat of anyone who dares to expose individual communists and traitors . . . The atmosphere of Washington, between the hearings and the expanded loyalty review dragnet, was near manic. Bill Downs, reporting for CBS-TV, finding himself screaming and drinking too many martinis, begged for Murrow's help: "Ed, just get me out of here!" "Nobody at the State Department would talk to him anymore," Roz Downs said later, "nobody in the Defense Department would talk to him anymore, nobody in government would talk to anybody—they weren't even talking to their own friends anymore, the things that were happening were so awful. It had just reached the point where everybody in Washington seemed stark, raving mad. Everybody was crazy—and frightened. Downs, one of the media's angry men, kept after Murrow, one of the rising chorus intoning, Do something about McCarthy. Not one of these clever let-the-audience-decide numbers. Hit him head-on. Hard. Forget radio; everybody bitched about McCarthy on radio. It had to be TV, and only he, Murrow, had the access. It was getting to be a leitmotif. Roz Downs later remembered an evening at the Murrow apartment, following their sitting in on the 7:45 news. Janet was out. Murrow was fixing drinks, fumbling unhappily with the ice bucket. He said, "My God, don't we have any ice?" I didn't know if he knew how to get the ice out of the refrigerator, so I said, "I'll get the ice," and Bill said, "Oh, for cryin' out loud, I'll get the ice." So Bill starts out to the kitchen, and Murrow turns around to me and breathes this great sigh of relief because he could see Bill was just ready. "Make you a bet that it's gonna be two minutes before he mentions McCarthy to me and he's gonna say, 'Okay, Ed, when are you gonna take on McCarthy?'" I looked at him and said "Ed, you are completely wrong. I'm surprised he went to get the ice out first. He's going to walk back through the door with the ice, and he's gonna say, 'Okay, Ed, when are you—'" and just then Bill walked back through the door. Ed looked, said, "You won." And Bill said, "Okay, Ed, now I've gotten the ice. When are you gonna stand up to McCarthy?" They broke up. "It's not funny, goddammit! Do you know what that man is doing to the country?" Murrow grew serious. He knew Bill was covering this every day, he said, that he was close to the story. But Friendly just didn't feel it was time yet. What did he mean, Friendly didn't think so? It was his, Murrow's, decision. Though obviously there were problems, they agreed, and yes, timing was important. Eisenhower had endorsed McCarthy only a few months ago. How did you attack McCarthy over something as powerful as nationwide TV when the President of the United States, the war hero, the landslide incumbent, had made him respectable?" To Ed Murrow, a man already inclined to pessimism and dark forebodings, the era of McCarthyism was a nightmare coming true. As a student leader in Europe, and later as a broadcaster, he had watched the Germans trade unruly Weimar democracy for Nazi order. He had witnessed home-grown Fascist movements in England, France, and Poland. He knew how the Fascists made their excesses palatable: anticommunism was the respectable cloak they wore. When Murrow and his wife, Janet, were flying home from England in 1946, as the American coast came into view, she recalled Ed saying, "We saw it happen in Europe. There's no reason to suppose it can't happen here." He had taken stands. He had spoken out against the circus-style anticommunism of the House Un-American Activities Committee. McCarthy's victim, Owen Lattimore, thanked Murrow for defending him on the air "even when the hysteria was at its height." Murrow helped save the careers of CBS colleagues who had been blacklisted. Still, some of Murrow's friends had been asking aloud why he was not doing more, not using his unrivaled position, that bully pulpit of microphone and camera with its audience of millions, to challenge McCarthy head-on. Bill Downs, a gruff, much valued friend came up from CBS's Washington bureau to have dinner with the Murrows at their Park Avenue apartment. Afterward, over drinks, Downs warned, "You'd better do something about that guy." Murrow hedged. "Fred Friendly says it isn't time yet," he said, referring to the co-producer of See It Now. "It is time," Downs insisted. "The effect that McCarthy is having is nothing short of devastating."
. . . The highest praise came generally from those who had been in the fight the longest, from I.F. Stone's Weekly to the editorial writers of the St. Louis Post Dispatch, to cartoonist Walt Kelly, to Joe Alsop, who had immediately sent a cable (ONE OF THE GREAT ACTS OF POLITICAL COURAGE OF OUR TIME). 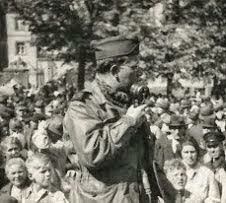 The reaction abroad, after word of the program hit the news wires, was "phenomenal," as a correspondent put it. "The European newspapers went crazy, they were delighted; it was like America coming into its own again." The BBC ran a kinescope. In Rome Bill Downs, now bureau chief for CBS, ran nightly screenings at his home to packed houses and standing ovations, mostly from Americans in Rome. (His own reaction: "About time!") Said Roz Downs: "We were getting calls from the embassy, from the USIA, saying, 'We are desperate, we want to see this thing.' The State Department was overjoyed; they were terrified of what was going on. And the military attaches—after all, the Army was being attacked."